The Subaru Crosstrek is a five-seat crossover spun off from the Impreza family of compact cars. Subaru introduced the Crosstrek in 2013 and initially called it the XV Crosstrek, but dropped the "XV" for 2016. With the Crosstrek, Subaru aims at buyers looking for something with a little more of an off-road bent. 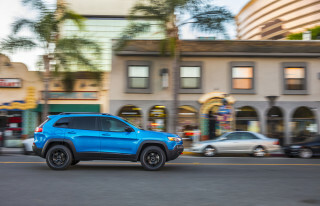 Competitors of the tall-riding Subaru are the Jeep Patriot and Renegade, Fiat 500X, Chevy Trax, Mitsubishi Outlander Sport, and the Mini Countryman. The Honda HR-V and Mazda CX-3 are also rivals. The Crosstrek was completely redesigned for 2018, although one might be hard-pressed to spot the differences. Its interior was updated, and it included the automaker's newest infotainment system. A plug-in hybrid version joined the Crosstrek family for the 2019 model year. Subaru redesigned the Crosstrek for 2018, basing the car on a universal platform it's using for nearly all of its vehicles. While the Crosstrek is still based primarily on the Impreza, the tall-riding wagon adds a few enhancements to separate it from the five-door wagon. A 2.0-liter flat-4 still powers the new Crosstrek, although output is increased slightly to 152 horsepower. Two transmissions are available in the Crosstrek, a 6-speed manual or a continuously variable automatic with seven simulated gears. All-wheel drive is standard on all models, and Subaru added its "X-Mode" system to the Crosstrek from the Forester to aid in particularly tricky off-road situations. Inside, the Crosstrek is fitted with updated materials and a new 8.0-inch touchscreen for infotainment. The interior of the Crosstrek borrows liberally from the Impreza, which was made more upscale for 2017 compared to others in the class. Despite the nicer amenities, the Crosstrek's gray fabric still retains that "wash and ready" feel that appealed to many first-generation buyers. Subaru has increased the Crosstrek's rigidity and improved its suspension, and it's quieter than the outgoing model. For 2019, Subaru made automatic emergency braking standard fare on the Crosstrek Limited. The first generation Crosstrek rode almost four inches higher than the Impreza hatchback from which it was based. It received entirely different front and rear fascia styling, unique lower body cladding, and a roof rack that can carry up to 150 pounds of gear. Mechanical changes included a beefed-up suspension, larger wheels and tires, structural reinforcements, bigger brakes, and a larger fuel tank. The Crosstrek was also one of very few vehicles in the compact crossover class that's rated for towing—up to 1,500 pounds. The Crosstrek's interior was largely carried over from the Impreza hatchback, though it had more rugged upholstery, along with a removable, rubberized cargo tray that can be easily hosed off. Just as in the Impreza, seating is well-placed to make the most of the interior, with room for four adults and a backseat that's a bit tight in leg room, but not lacking in head room. While there are soft-touch materials on the dash, some of the interior trims and details look no better than what you'd expect for the Crosstrek's $22,500 base price. On the road—and off it too—the Crosstrek is essentially a compact hatchback on steroids, giving it more wide-ranging abilities. Its 148-horsepower, 2.0-liter flat-4 engine meant it's far from the most powerful model in the class. The 5-speed manual gearbox was best for wringing out the most from the engine, but the Crosstrek accelerates well enough with the continuously variable automatic transmission (CVT). 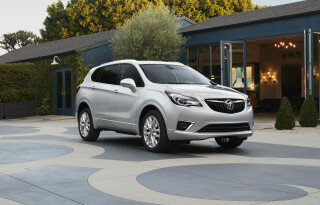 When a quick burst of power is needed, the CVT can be slow to respond. With the same all-wheel-drive systems used in all Subaru's cars—they're actually different for CVT and manual models—the Crosstrek scrambles ably along particularly challenging muddy or rocky trails as well as through deep snow. It's aided by a whopping 8.7 inches of ground clearance, and that combined with its small size lets it get through trails and situations like many truck-based utility vehicles. It rides well, and its compact dimensions and precise steering make tight maneuvers easy whether on-road or off. The 2014 Subaru XV Crosstrek Hybrid was the first-ever hybrid from the brand, and while it didn't produce soaring fuel-efficiency ratings, it found an eager audience among the brand's often-eco-aware buyers. The hybrid powertrain inserted a small 10-kw (13.4-hp) electric motor between the engine and CVT, though it's there largely to assist the engine and can propel the vehicle from a stop on electricity alone only if you're willing to accelerate very, very gently—and there's no one behind you. In the real world, the hybrid pack had a pretty minimal impact on fuel economy—it's a mild-hybrid system that only kicks in at 40 mph or less. It was discontinued after the 2016 model year. Gas mileage is a strong selling point for the Crosstrek—and a real reason to choose it over one of the taller or larger crossovers. 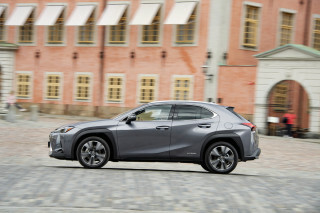 The hybrid improves a little, although we failed to see any real-world improvement over the CVT-equipped Crosstrek in a road test of almost 500 miles. 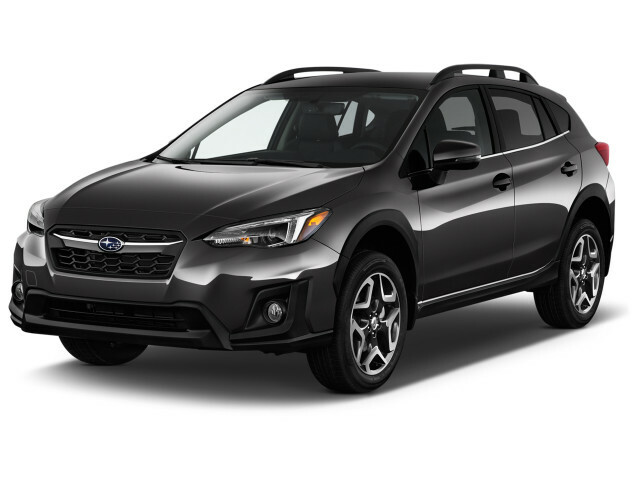 The Crosstrek is a strong value for the money, with keyless ignition, air conditioning, cruise control, and Bluetooth connectivity all included on the Premium, which may be the best pick for buyers who'll use the car off road to haul sporting gear and athletic people. The Limited model adds automatic climate control, leather upholstery, and a fold-down rear armrest. An available combination navigation and audio system brings voice commands, test-massaging ability, and XM NavTraffic. The IIHS called the Crosstrek a Top Safety Pick+; the NHTSA has given the Crosstrek four stars for frontal crash and rollover safety, on the other hand, but it earns five stars (the highest rating) for side impact, and in the overall rating. 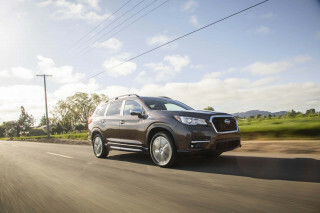 For 2015, Subaru made changes to available technology. 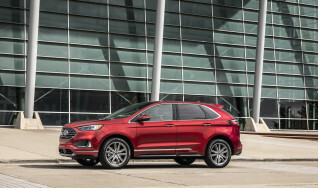 The infotainment setups were completely updated, with touchscreens standard on all models; the entry-level system uses a 6.2-inch display, while the pricier trim levels get a 7.0-inch touchscreen with support for multi-touch gestures. Subaru's camera-based EyeSight safety tech also became available on higher trims, bringing features like lane-departure warning and collision warning to the little crossover hatch.